Weighing & measurement equipment is highlighted in green in the photo above. Highly precise aerospace measurement equipment is used to help ensure that an aircraft meets exact specifications and is capable of flight. Weighing & measurement is incredibly important within the aerospace industry for both aerodynamic considerations & safety reasons. Scales can be used to help ensure that an aircraft remains under a maximum weight capacity, which will establish the maximum weight at which the aircraft can safely remain in the air. Physical/Dimensional (or “PhysD”) measurement equipment is used to verify & meet exacting standards, ensuring efficient and safe performance is achieved. In terms of heavy capacity aerospace measurement equipment, high capacity scales that are typically used include axle scales, wheel weighers, crane scales, truck scales & more. This equipment is used both during and after assembly of an aircraft. Aerospace measurement equipment is used during production of an aircraft to weigh parts & components. Some equipment is designed specifically to increase efficiency. For instance, crane scales are meant to allow workers to determine weight without interrupting operations. After production, heavy capacity scales might be used during cargo loading or removal. For instance, trucks carrying cargo to the planes, or containers away from planes, may run across a truck scale to determine weight. A crane scale may be used during cargo loading or removal to determine how much cargo an aircraft can carry. Along with heavy capacity scales, aerospace measurement equipment includes medium capacity scales, which are also used both during & after production. For example, parts may be weighed before & after paint is applied during production, to ensure the total weight of the aircraft remains under the maximum capacity. 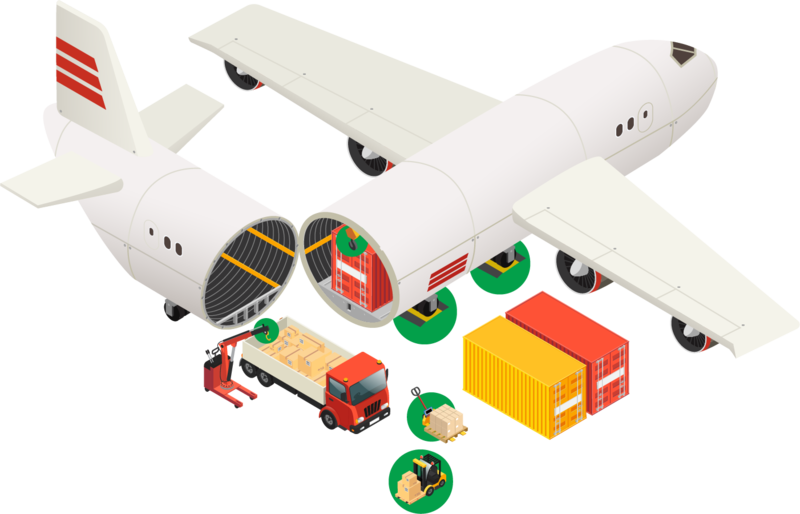 After production, cargo may be weighed several times before being loaded onto an airplane. Pallet jacks are often equipped with scales. Forklift scales are also commonly utilized in the aerospace industry. Pancake scales are another common piece of weighing equipment used in the aerospace industry. Aerospace measurement equipment also includes numerous types of precision measurement tools. Precision measurement instruments, like torque & bolting tools, micrometers, calipers, and pressure gauges are incredibly important during both the design & the production phases of aircraft development. Physical & dimensional tools, force measurement tools & other precision instruments can help ensure that all of the components contained within an aircraft are manufactured to the correct dimensional requirements. Proper pressure gauge, torque & bolting tool calibration is imperative to allow an aircraft to withstand G forces & other special circumstances. Quality precision instruments are incredibly important to ensure the work performed with the instruments is done safely. Maintenance & regular calibration of these instruments is equally as important as instrument quality, and helps to ensure the reliability of the instruments. 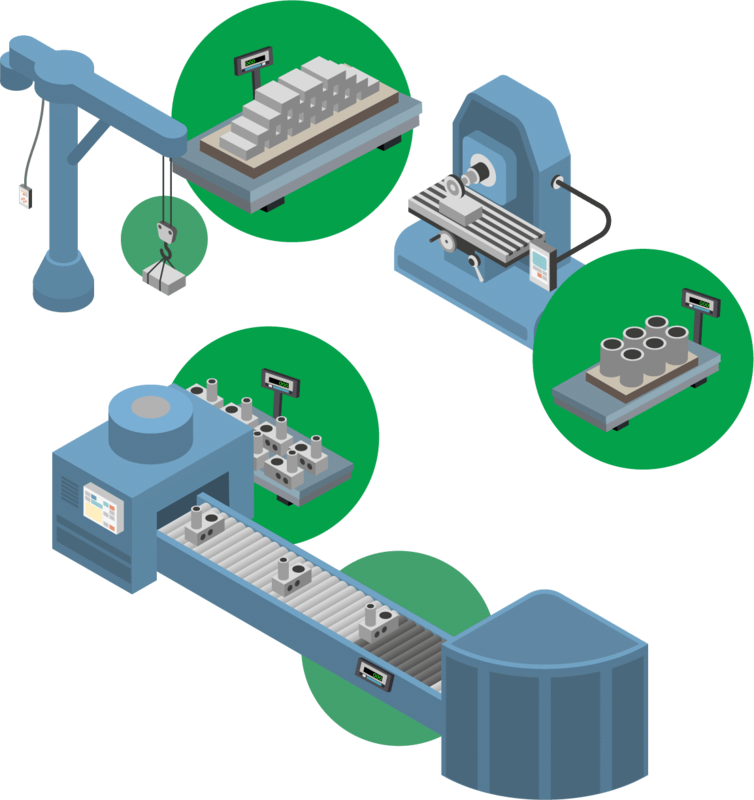 Have you considered a weighing system, or the integration of stand-alone measurement systems into larger, enterprise level systems? Michelli offers custom software development to allow for things like on-board weighing, data collection, and even bulk loading. From increasing safety in the workplace, to expediting your measurement processes, our systems can be designed to fit a wide variety of needs. The results could save you money, decrease risks & increase productivity. Learn more on our weighing systems page, or contact a specialist near you today. Michelli offers preventative mainteance programs designed specifically to meet your stringent quality requirements. Regular maintenance keep operations running smoothly. Our highly skilled technicians will meet with you to help develop a calibration schedule based on your environment & application. Our service agreements are designed to save you money & keep your equipment running at peak performance with regularly scheduled maintenance. 24/7 Call-out services are also available to our service agreement customers, so you can rest easy knowing you’ve got round-the-clock support. Michelli Weighing & Measurement locations are members of ISNetworld, PICS, PECS, DISA, and various local reciprocal safety councils. How can accurate weighing & measurement equipment help the aggregate industry? Turn your scale into a multi-tasker and increase productivity. Let’s discuss your application & ways weighing & measurement could help to simplify your process. We offer 24/7 Call-Out service with signed service agreements. Contact us today to learn more.